Berlin’s Silicon ‘Allee’ vs. Silicon Valley: Which is better for your startup? As the general manager of Europe for a global marketplace serving startups, entrepreneurs and freelance designers from around the world, I often find myself in debate over which city will be seen as the new business hub of the EU. With the UK on the brink of “Brexit,” few tech insiders see London continuing to hold its top position. In its place, it seems that Berlin’s “Silicon Allee” will emerge as the EU’s future tech center. But does it have what it takes to truly become Europe’s Silicon Valley? Since my company has offices in both Berlin and the San Francisco Bay Area, I decided to take a closer look at the data and compare the two side by side. I looked at infrastructure, support, cost of living, and other important factors for global entrepreneurs seeking a launchpad for their new business. Here’s what I found. Both Berlin and San Francisco are extremely startup-friendly. San Francisco — built on the financial success of Silicon Valley — is still the world’s most the dominant startup ecosystem. However, Berlin is now a serious contender. Its startup ecosystem is one of the world’s most diverse and inclusive, and it appeals to the largest percentage of foreign startups, 11 percent; other startup ecosystems in the EU average only two percent. What about other benefits? The two cities are competitive, although Berlin may have the edge here. 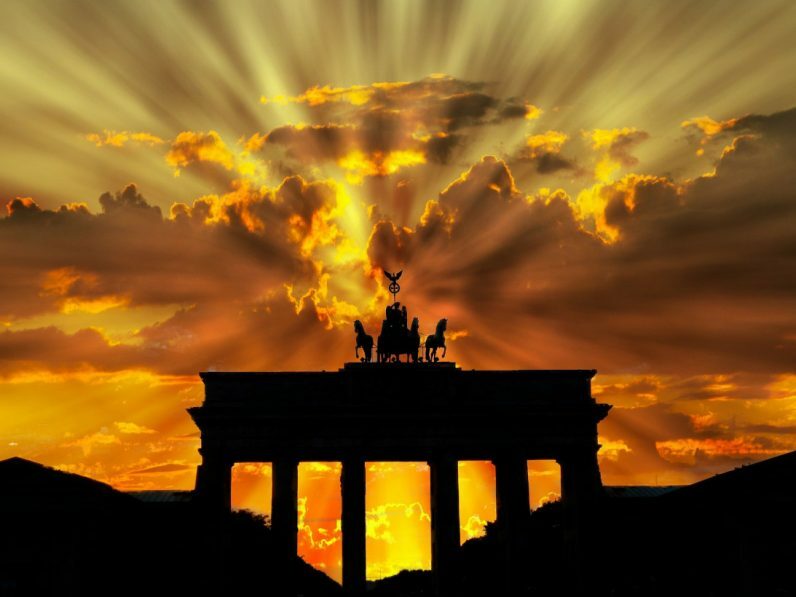 An entrepreneur can found a startup in Berlin within seven days for just €700 or about $834. During those first few tenuous months of startup life, that same entrepreneur can get financial support from the government and organizations such as EXIST, Förderung, and Gründungszuschuss. The business will also benefit from local legal support from funding programmes, organizations, and the local network; for example, Gründen in Berlin, Business Startup Portal, and Investitionsbank Berlin. San Francisco lacks this kind of financial support for startups, but it does have one serious advantage in this area: taxes. Entrepreneurs will love the nine percent corporate tax compared to 15 percent in Berlin, and 10 percent VAT in San Francisco compared to 19 percent in Berlin. Valued at approximately $281 billion, Silicon Valley is the largest ecosystem for startups in the world, and home to more than 25 percent of the world’s unicorns. Twenty-eight percent of all investments into startups in their nascent stages from around the world end up going into Silicon Valley businesses, making the average per startup funding in the early-stages a whopping $813K. In 2016 alone, Silicon Valley startups raised $26.2 billion in venture capital. There’s no question that the Berlin startup ecosystem is smaller than Silicon Valley’s, but it has experienced serious growth over the past decade. Berlin’s startup scene grew from 20 or 30 tech startups in the mid-2000s to the approximately 2,500 that populate it today. No wonder there are 70 percent more jobs in tech today than in 2008. Despite this growth, Berlin’s capital outlay remains lower for now, with per startup early-stage funding at about $432,000. In 2016, Berlin’s startups collected $2.86 billion in venture capital. However, these numbers are likely to keep growing, especially since a healthy American tech presence already exists in Berlin. Several tech giants such as Facebook and Airbnb already have Berlin offices, and German startups such as N26 and EyeEm are thriving thanks to incubator programs in Berlin. Ernst & Young reports that about 2,500 active startups which have raised around $2.7 billion in venture capital are now in Berlin, making it the venture capital king of the EU by far. Although Berlin’s talent pool is growing fast, it’s still significantly smaller than both London’s and Silicon Valley’s. This might shift due to an imminent talent drain in the UK prompted by Brexit. Berlin’s problem with tech talent is heightened by the lack of an alumni network, since a functional network is dependent on a certain number of exits that just doesn’t exist yet. Berlin’s entrepreneur class might turn this around by taking their businesses public and boosting local investment, or selling startups as they grow. Berlin is also home to the second highest number per capita of immigrant founders in the world; with a startup founder profile of 43 percent immigrants, Berlin is behind only Silicon Valley in this regard. This draws not only more foreign tech talent to Berlin, but also fresh markets. Berlin startups enjoy 28 percent foreign customers from other continents, the 6th-highest percentage worldwide, showcasing both the ability and desire to make Berlin a global tech player. In this department, Berlin comes out way ahead of San Francisco. Berlin’s cost of living is 32 percent lower than San Francisco’s where the rent is around three times more (monthly rent for a single room apartment being $3,500 on average in San Francisco and $857 on average in Berlin). Although the monthly ticket is more affordable in San Francisco, all other costs across the board, from lunch to utilities to internet access to healthcare, are cheaper in Berlin. According to the Mercer annual quality of living research, you also pay less for more in Berlin; taking culture, education, environment, healthcare, hygiene, political-economic stability, public transport, recreation, and safety all into account, the quality of life is simply better in Berlin, which came in 13th place worldwide. San Francisco came in 29th place, largely due to the very high cost of living. These costs are, of course, passed on to startup founders, who will spend about twice as much on office space and salaries in San Francisco. On the numbers, Berlin is the EU’s new Silicon Valley. As tech talent flees the UK — and potentially the US — in the wake of the implementation of hostile immigration and science and tech policies, investors are likely to follow. More startup-welcoming locales like Berlin will appeal even more to innovators and entrepreneurs hoping to seize opportunities in a startup-friendly environment.